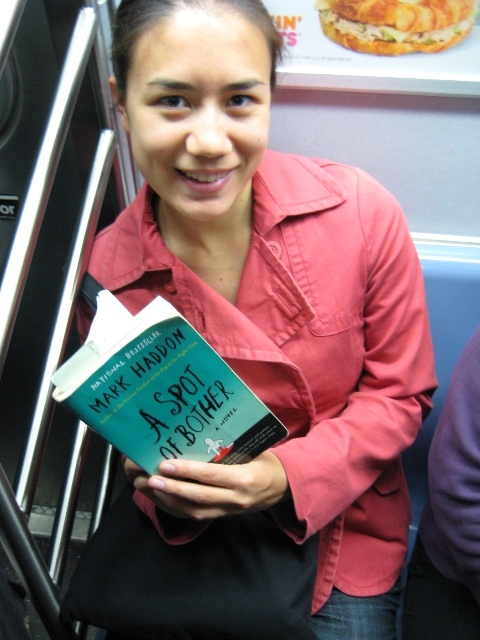 I really liked Mark Haddon’s other book, The Curious Incident of the Dog in the Night-Time. Then a friend recommended this one to me when we were discussing books with gay characters. I like it. In the first 40 pages or so, I wasn’t sure that it was going to catch my interest, but then it picked up and I suddenly felt invested in the story. It sometimes makes me cringe, kind of like a TV drama, when the characters aren’t understanding each other and conflicts are piling up. But the relationships are more realistic than in a TV drama, so that’s a relief! Life of Pi (Yann Martel), Interpreter of Maladies (Jhumpa Lahiri), Zeitoun (Dave Eggers), Native Speaker (Chang-rae Lee), The Bell Jar (Sylvia Plath)…. Not usually, because I find out about them online, and can only see a little thumbnail image of the cover anyway. Cereal—three types mixed together. I still haven’t found one cereal that I like on its own. I read a review somewhere, maybe Salon. Do you want types of books or titles? That would take a long time. Mostly straight literature. But lately I’ve been getting into nonfiction, like this one, historical science. But Russian lit was always my biggest thing. Since I read it when I was 16, and I read it again all the time, Crime and Punishment (Fyodor Dostoevsky). I try not to but I definitely do, even it’s subconsciously. Especially if I know nothing about it, then the cover can make a big difference. Pop-tarts. 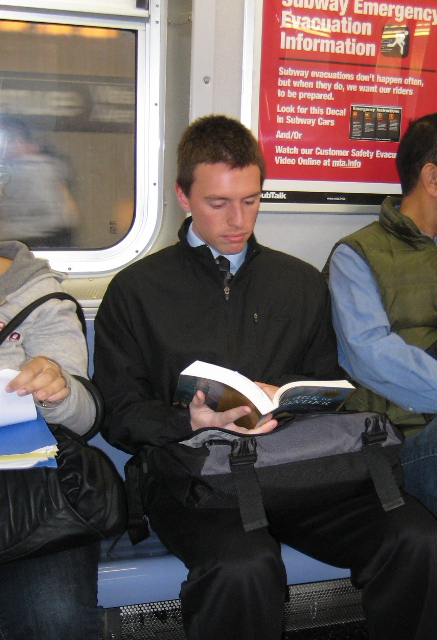 Why, are you finding a correlation between breakfast and reading habits? Not really. What kind of pop-tarts? Brown sugar cinnamon. Pop-tarts and coffee. This entry was posted in Uncategorized, WORD on the street. Bookmark the permalink. This is one very weird but also very compelling book. It’s certainly not your standard read. It was well written, had likeable characters, a good scene where a man tries to cut of eczema on his side with a pair of scissors.